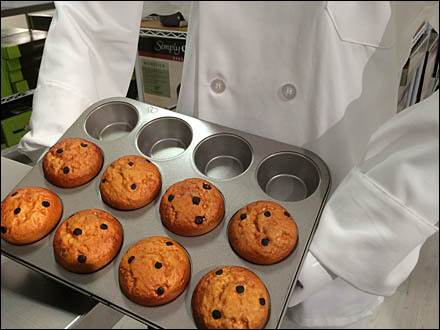 What better sell for a Muffin Pan than the fresh baked muffins that result? 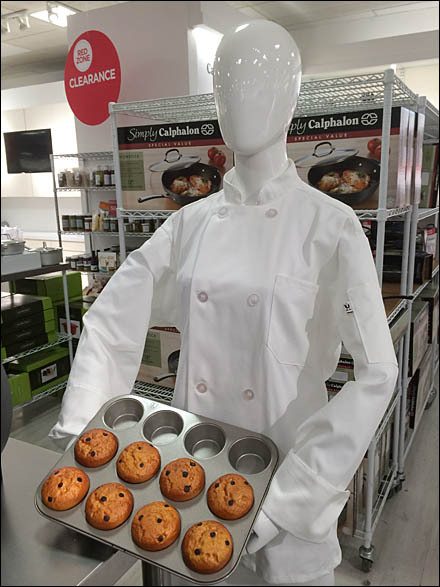 Add a mannequin with Chef uniform to imlly the skill required for baking ad cooking and you elevate your cookware department from is count to distinction. Now just make sure the cook- and bakeware live up to shopper expectations. If your appliance department offers Miele or Gaggenau, maybe you could cross sell those here too?